Selection of Native Trees, Planting, and Care. Starting and Growing Marigolds and Vegetables. Preview of Spring Plant Sale. Refreshments will be available along with lots of free give-aways, including seed packets, native tree seedlings, handouts and more. 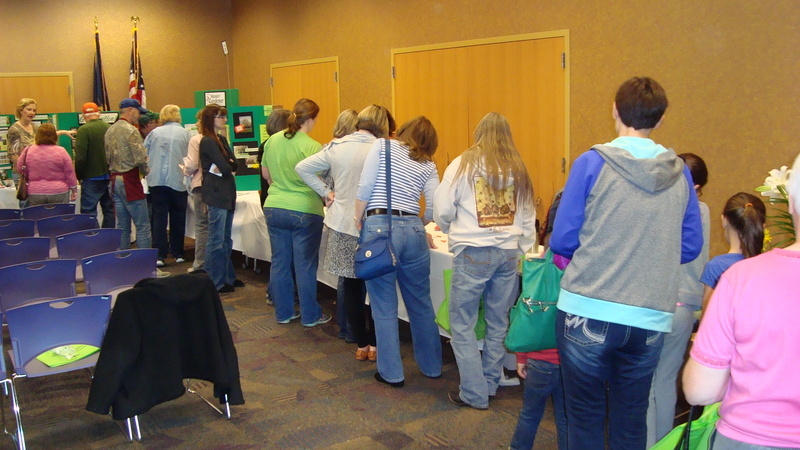 9:30-10 AM…Sign in, pick up door prize tickets and visit informational booths. 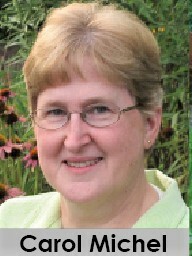 10:00 AM-11AM…Presentation by Carol Michel; Twelve Secrets to Happiness in Your Garden. 11:00 AM-12N…Carol Michel available for meet and greet and book signing. 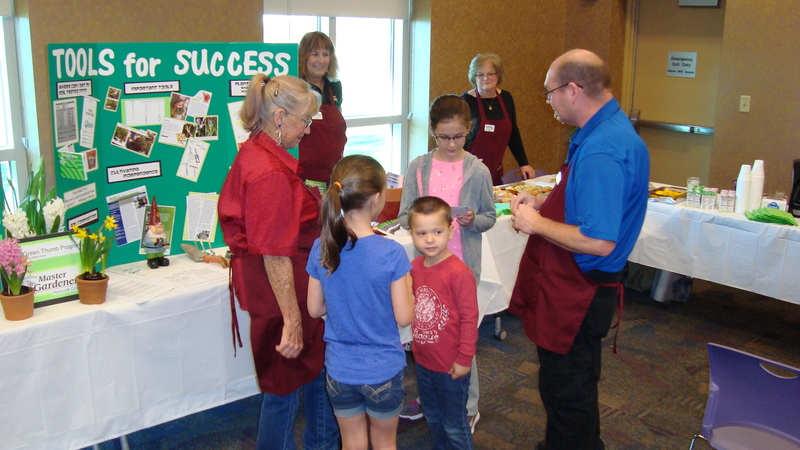 Educational booths re-open and door prize drawings. 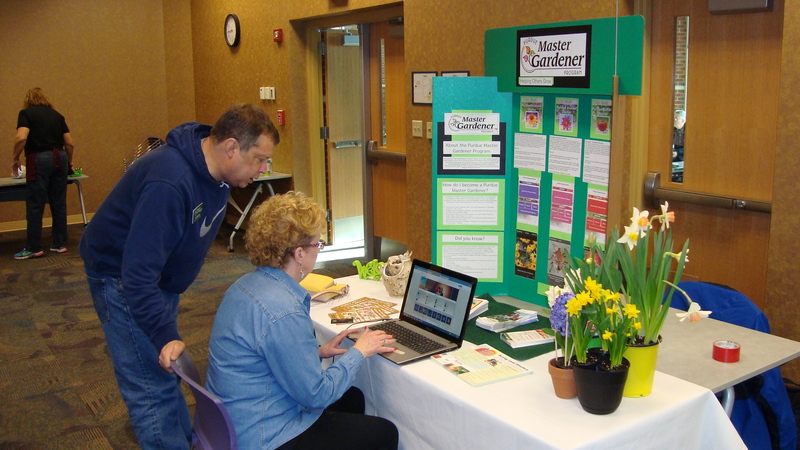 Hancock County Master Gardeners and the Hancock County Public Library are joint sponsors of the Green Thumb Program. The Master Gardener $1,000 Scholarship winner for 2018 is Jessica Jones. Beginning this fall semester Jessica is a Senior at Purdue University. Jessica is majoring in Agriculture Education and minoring in Horticulture. She was a 10-year member of the Hancock County 4-H. Presenting her with the check are (L-R) Jane Pollock, Scholarship Committee; Lee Rose-Alexander, HCMG President; Jessica Jones; and, Bob Degitz, Scholarship Committee Chairman. The Hancock County 4H Fair, Greenfield, Indiana, will be in full swing with all the color, sights, sounds and smells of the Fair from Friday, June 21st thru Friday, June 28th 2019. 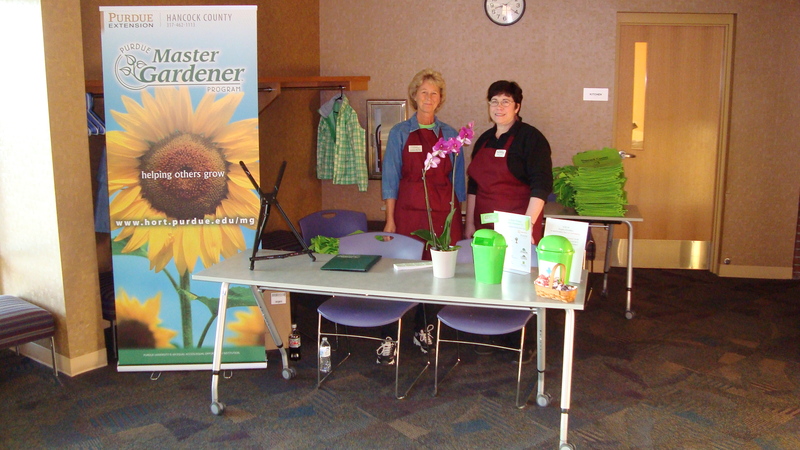 Bring your gardening questions and visit with us at our Master Gardeners Booth in the Commercial Tent from 5-9 PM daily. 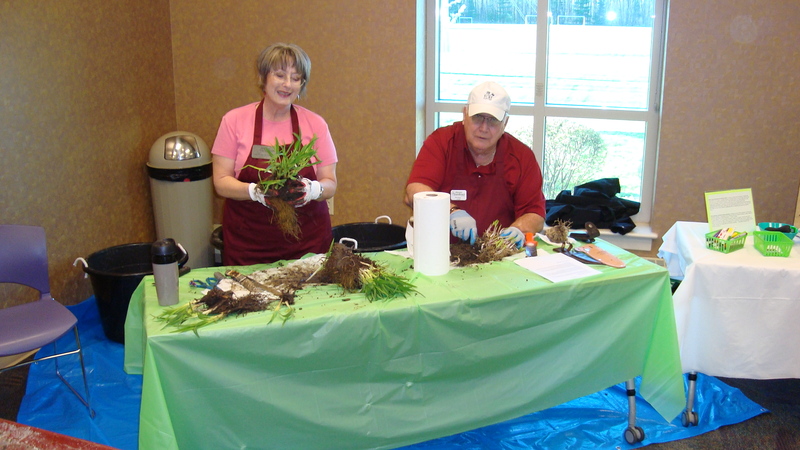 During the Indiana State Fair, August 2nd – 18th, 2019, 9 AM – 7 PM, bring your gardening and plant questions and visit with area Master Gardeners at the Purdue Master Gardener Booth for information on plants, gardening and home horticulture. Our booth is located near the southwest end of the track in the Purdue Extension Ag/Hort Building. 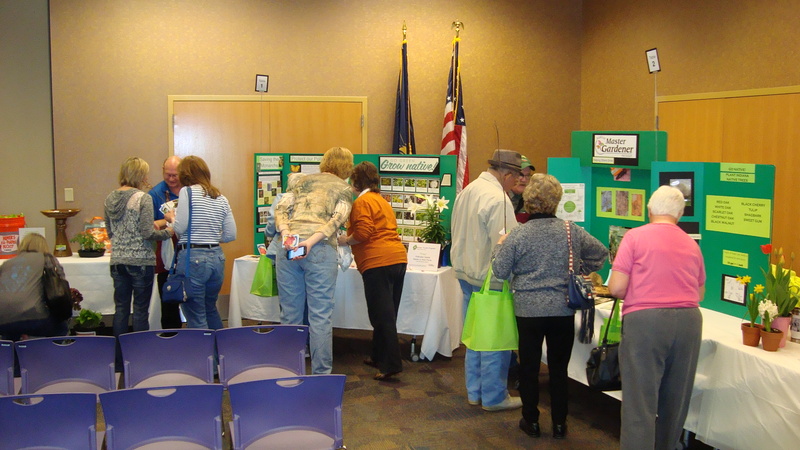 The Hancock County Master Gardener Association maintains demonstration gardens on the grounds of the Hancock County Purdue Extension Service at 802 North Apple Street in Greenfield. The gardens have been designed as a self-guided learning experience for members of the association and the public as well. The gardens that are self-guided are the Pollinator garden, the Nature area, and the Foundation garden (starting at the front door of the Extension Office). Plants in the gardens are marked with steel plant markers that bear the name of the plant as well as a number. In each garden is an information box containing plant information sheets that list the names of the plants in that garden and their characteristics. Matching the number on the plant marker with the number on the plant list sheets will assist you in identifying a plant. 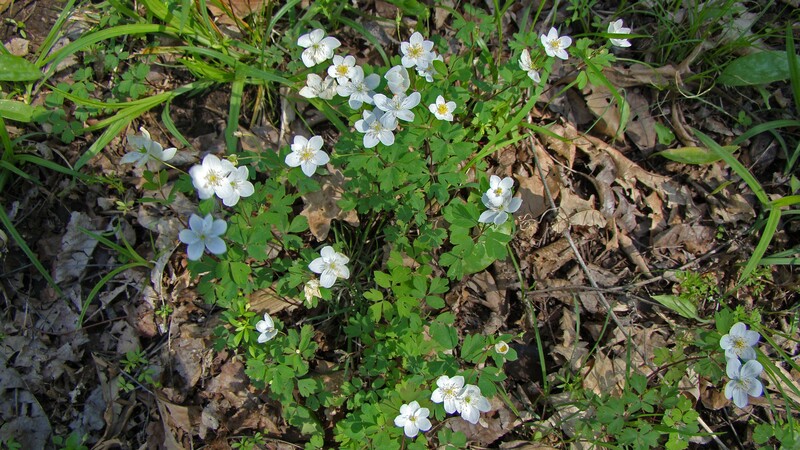 Additional information such as botanical name, light requirements, bloom times, etc. is also listed for that plant on the sheets. If you enjoy plants and gardens stop by and view our gardens and learn about the plants that reside in them. Viewing can be done during daylight hours, seven days a week. 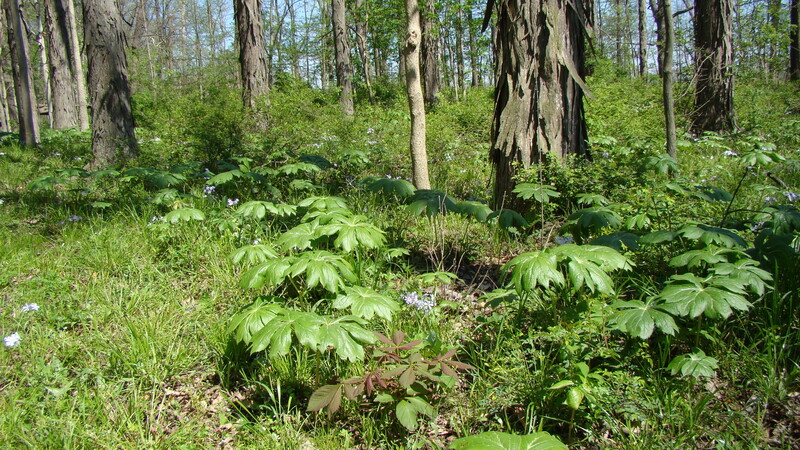 Take a hike through Greenfield’s Thornwood Preserve consisting of 40 acres of pristine native plants and trees. 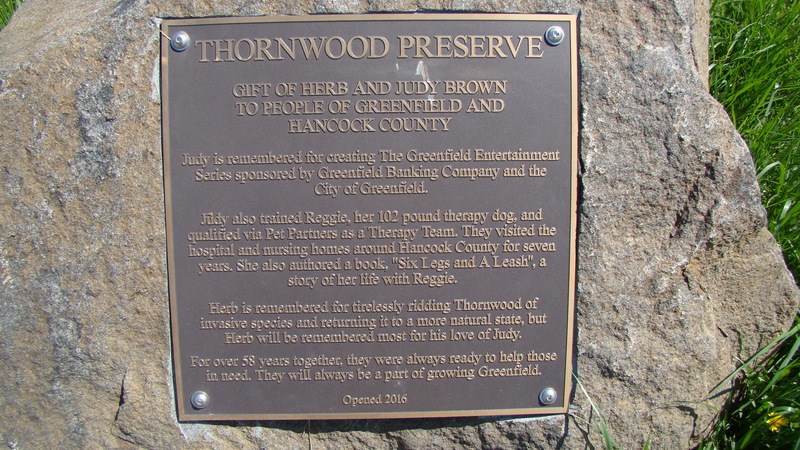 The property was donated by Herb and Judy Brown and was recently opened to the public. 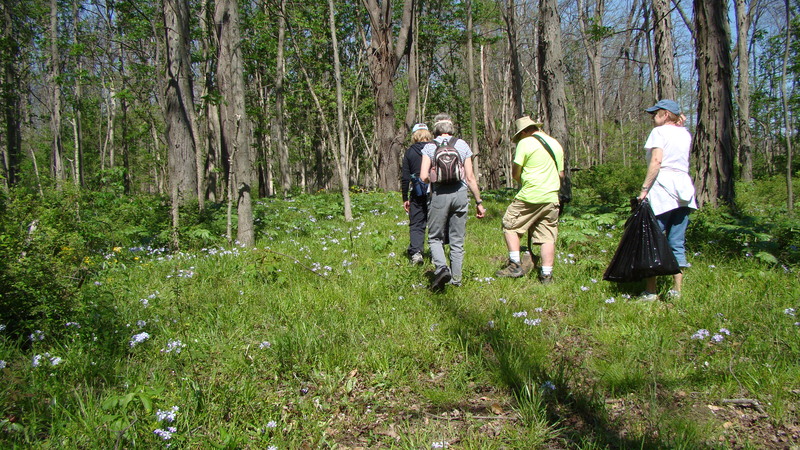 Below a group of Master Gardeners enjoy a spring wildflower walk to identify the many native species and remove invasive plants.